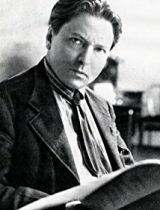 Described by Pablo Casals as “the greatest musical phenomenon since Mozart”, Romanian composer Georges Enescu was one of music’s greatest geniuses. Equally proficient as a violinist, pianist, and conductor, he was also an important pedagogue, the teacher of Yehudi Menuhin and Arthur Grumiaux among many other luminaries. However, he was a reluctant virtuoso and considered himself first and foremost a composer. His Octet, written when he was just 19, is a tour-de-force, a piece of great beauty, virtuosity, and excitement. It hasn’t been performed at the Seattle Chamber Music Society since 1987, so don’t miss it. 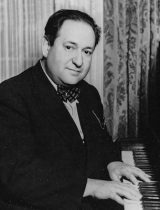 My love of Korngold’s music is no secret to SCMS audiences, and it gives me enormous pleasure to present his magnificent Suite, which hasn’t been performed at our festivals in almost 20 years. 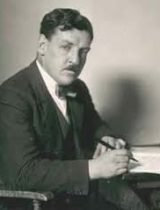 Written for the Austrian pianist Paul Wittgenstein, who lost his right arm during World War I, the piece is firmly rooted in the romantic European tradition, though with Korngold’s unmistakable piquant harmonies. The 4th movement, “Lied”, is one of the most beautiful pieces of music that I know. I can’t deny that it is also part of the fun to see a pianist (in this case, the superlative Orion Weiss) negotiate the peculiar athletic feat of playing a virtuosic piece using only one hand! Sometimes musical discoveries come at the most unexpected times. 2 years ago, I was driving in my car, just doing some everyday errands, and the piece on the radio was so beautiful, so honest and poignant, that I had to stop in a parking lot and listen to the whole thing. That piece was the Gordon Jacob Clarinet Quintet, and on that very day I decided that I needed to program it at SCMS (and that I needed to play in that performance). Jacob (1895-1984) might have a more starry reputation if not for his love of beauty and melody, and his steadfast refusal to change his musical priorities as music became more avant-garde in the 1960’s. A quote that says a great deal about Jacob’s musical values: “I personally feel repelled by the intellectual snobbery of some progressive artists… the day that melody is discarded altogether, you may as well pack up music…”. Again, I could write just as enthusiastically about all of the other pieces on this summer’s festival programs. But hopefully this will whet the appetite for some remarkable masterpieces that are a bit off the beaten path.